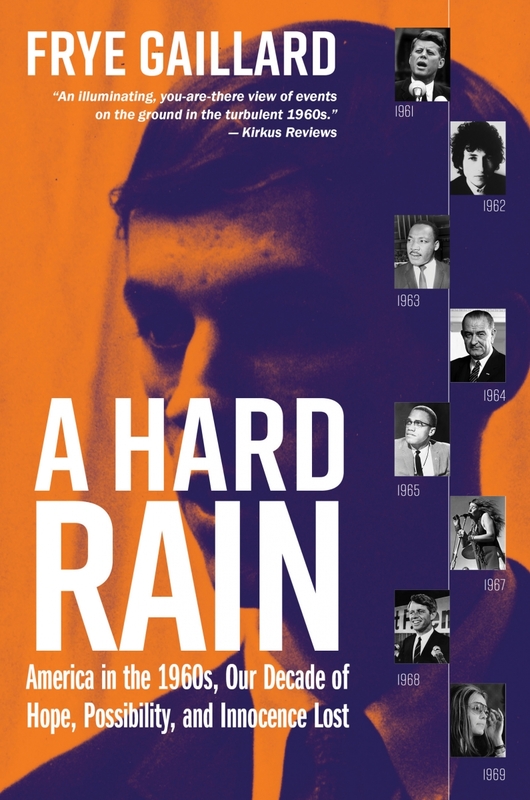 A HARD RAIN – America in the 1960s. Our Decade of Hope, Possibility, and Innocence Lost by Frye Gaillard. Published by NewSouth Books. Available August 28, 2018. I was born September 4, 1961. My mom and dad had been married for about 16 months when I came along. Mom and dad were newshounds. One of my earliest memories is of a television or radio always being on, wherever we were living. Mom and dad loved to keep up with what was happening in the world. A HARD RAIN has brought all that back to me. Frye Gaillard covers all the big movements of the 1960s, and a lot of those stories still resonate today. Gaillard was a child of Alabama as the 1960s dawned. He would grow up to be an award winning journalist, author, and historian. For those of us who were born in, or came of age, during that turbulent decade, Gaillard takes us back to those days when everything seemed so hopeful. The 1960s saw the birth of the Free Speech Movement and the ratcheting up of the Civil Rights Movement. It was a decade of sit-ins, teach-ins, and Human Be-Ins. It witnessed the early stirrings of environmentalism and women’s rights, and it gave birth to labor movements that simply sought fair wages and treatment for people who performed, quite often, back-breaking labor. The Civil Rights Movement shook every person in America, black or white, for better or for worse. College kids registered African Americans in the South to vote, and some were murdered in the process. Militants begat militants on both sides of the issue, and it seemed that America was, once again, going to war with itself. Political views were all over the spectrum. Good men were murdered. Martin Luther King, Bobby Kennedy, Medgar Evers, and a host of others who were not as well know, were shot down because of the color of their skin, or for reasons that still escape us, fifty years later. There was the pivotal year of 1968, when it seemed like the top was finally going to blow off the pressure cooker that was America. Violent protests for, and against, the Civil Rights Movement occurred across the country, the Tet Offensive in Vietnam led to massive anti-war demonstrations, and American politics was becoming quite ugly. A potential peace treaty was going to be announced, looking toward the end of the Vietnam War, less than a week before that year’s presidential election. It was sabotaged by supporters of Richard Nixon, and the future president himself, as it was feared that such an announcement would put a Democrat in the White House. It was the decade of the moon landing and I, along with millions of other American schoolkids, saw the flickering image of Neil Armstrong taking that small step, as we sat in class on a hot July day. 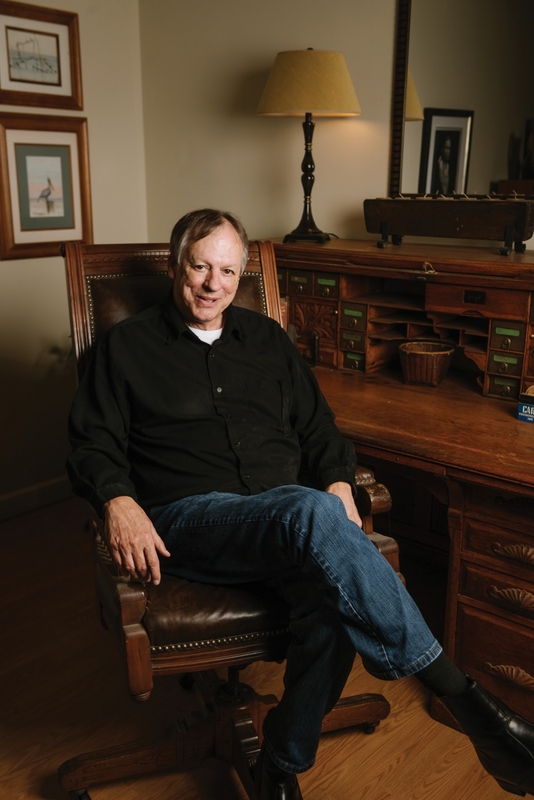 Frye Gaillard has put so much into this book, yet it flows with an ease of narrative that makes it both joyful and interesting at the same time. If you’re a child of the 1960s you’ll find that it all comes roaring back, and you’ll have a greater understanding of how, and why, it all happened. If you’re a student of history A HARD RAIN will give you food for thought, along with information that can still be applied in America, circa 2018.